Q. How can I highlight and add notes to my textbook using the Bluefire Reader app? To highlight text, place your finger on the text where you would like to begin until a circle icon appears, then drag over the section of text you would like to highlight. 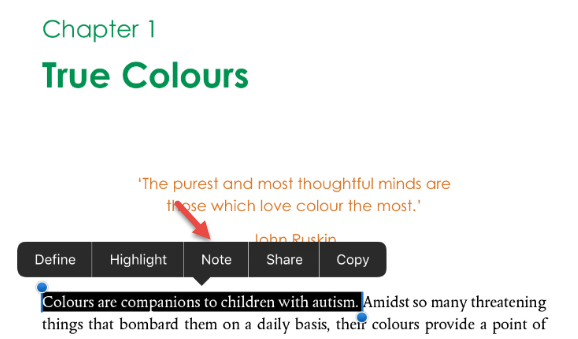 Any notes or highlighted text you have added throughout the book, will be accessible from the Bookmarks menu. Tap on the screen to view the menu options at the top of the page and choose Bookmarks.